Mexican Insurance for Travel Can Help With A Breakdown on a Mexican Highway? Even if you meticulously inspect your car before your trip to Mexico, you could face a situation in which your vehicle malfunctions. Anything from a dead battery to a blown radiator could stop you in your tracks. During the summer, this can be not only frustrating but also dangerous due to heat. Although many border regions have cooler temperatures that some of the hotter parts of the U.S., sun and a lack of water can be devastating. Your prep should go beyond just a vehicle inspection as you stock up with plenty of drinking water and buy Mexican insurance for travel. Your Mexico insurance for cars should include emergency support for breakdowns and other auto mishaps. By having a map and plan for your trip, you can identify cities and small towns along the way. This is helpful because you can estimate distances between major stopping points so that you are aware of where services and supplies are available. It’s always wise to keep your vehicle supplied with ample quantities of drinking water. If you break down, you can contact your Mexican insurance for travel for roadside assistance. Your map will help you to know approximate distances to nearby towns where your vehicle might be serviced. If you expect to be in areas that are more isolated due to long distances between towns, it may be important to have a travel safety feature such as SPOT, which allows you to get word out to others even if wireless signals are inaccessible. If you are traveling in a newer vehicle, you might not be aware of all of your vehicle’s quirks. For example, you might not realize that your electronic ignition might not allow you to withdraw a key in case of a dead battery. Attempting to do so could leave you with a broken key and much more trouble. 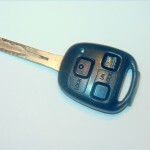 Leave the key in place in such a situation, and contact your Mexican insurance for travel for help. You might need a jump if it’s just a dead battery, but with a broken key, you could be stuck waiting for a locksmith as well. It’s also important to be sure that your Mexico insurance for cars meets the requirements of your lender if you still have a loan on your vehicle. While you think that your car is running properly, an abrupt break down can always happen anytime. Having a breakdown is frustrating, especially if you don’t know what to do. Fortunately, your Mexican auto insurance provider can help. If your car is having a problem while on the road, try to be at the right-hand shoulder of the road immediately–particularly if you are on the middle of the highway. Then, call up your Mexican insurance company for quick help. Driving to Mexico requires knowing several precautions like getting information about the rules and regulations implemented in that country. For instance, it’s required by Mexican law that every driver has Mexican auto insurance. Mexico is the perfect place to witness natural attractions, but anything can happen while driving to Mexico. Car breakdown is the common one. Your Mexico auto insurance company can help during serious road problems like this.